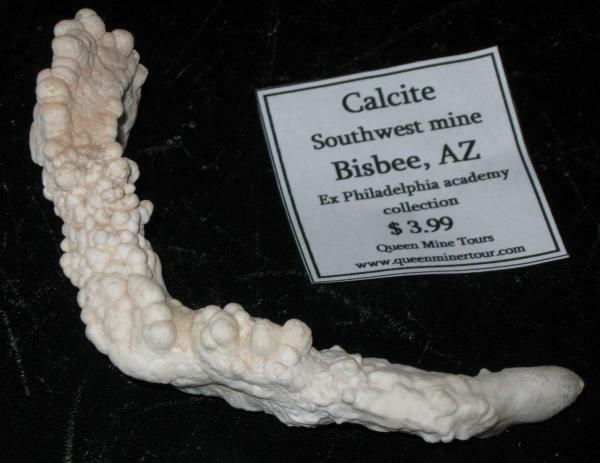 I read about the foitite acicular or fibrous terminations from Minas Gerais. I also remember a picture in B&W, it could be from Mineralogical Record old issues, but I'm not shure. 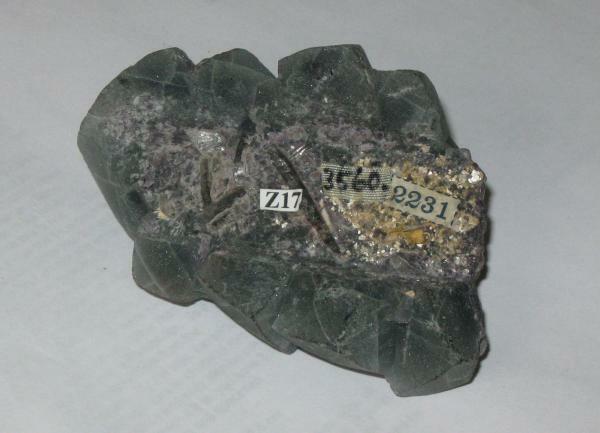 By other, ExtraLapis English num, 3 (Tourmaline) cites Foitite iin Cruzeiro mine, Minas Gerais. It is Governador. It is Frank Melanson. 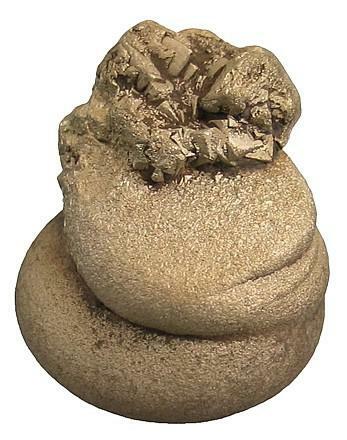 Who's to say that foitte cannot occur in Brazil? It is possible, I suppose, that you could get foitite on schorl, but it is more likely that the entire crystal is more or less the same composition, very thin fragments of the black base would probably also transmit light and appear purple, just like the thin needles on the termination. 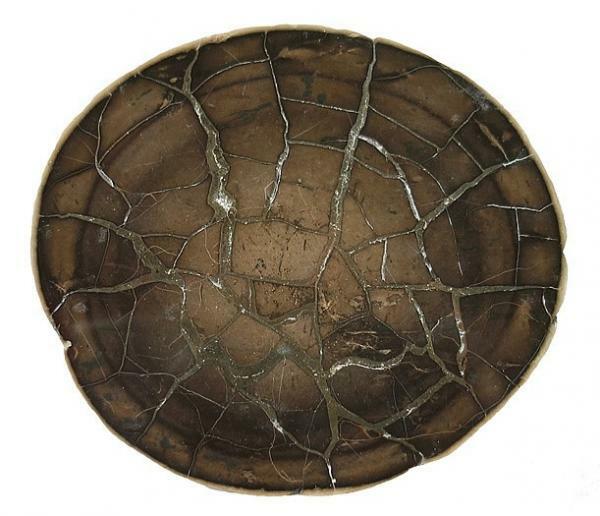 It is also possible that the thin needles are the product of etching and not primary growth. Luiz Menezes would be the person to ask about the species and the locality. Sary fo de misspel. Just attended a lecture by Barb Dutrow and what I took away was where there is one tourmaline there are probably others. Just depends on the sampling. So I agree there is no reason not to think there is foitite in Brazil. 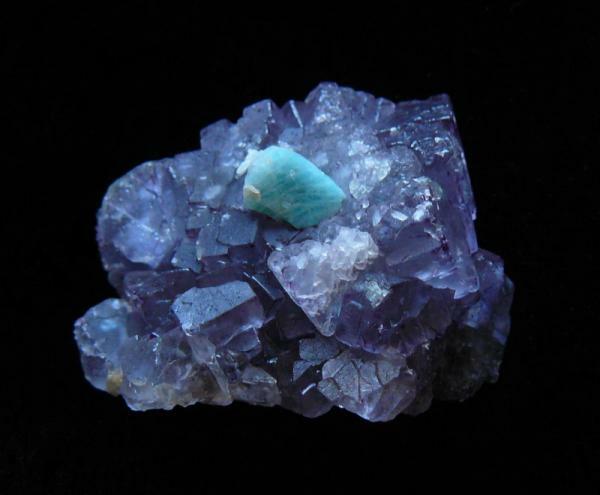 About your Fluorite from Teller,I think the hole came from lack of Amazonite. 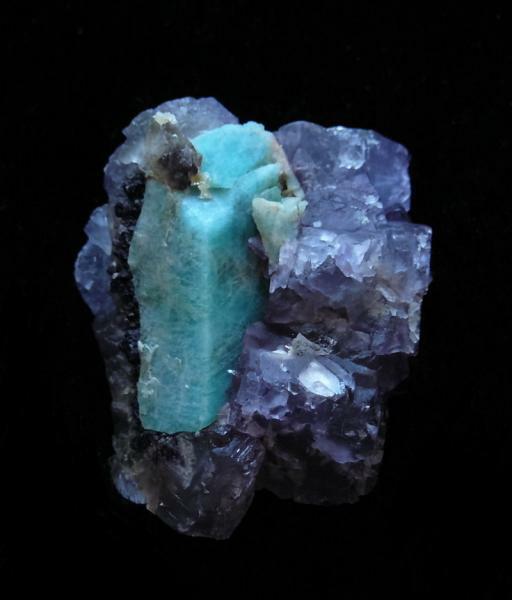 I have one specimen,and there is amazonite crystals stuck on the fluorite,and the contact between amazonite and fluorite shows like the fluorite has grown on the amazonite,and there are places where amazonite has dissapeard. The fluorite has a greenish-purple color,and a stange etched surface,not as yours. It make me think about some specimens from Spain. other view,difficult to see,but I think there was a bigger amazonite crystal,that has dissapeard,there is the negative shape on the fluorite. on the last view it seems to be sawn(difficult to see on a photo! )but it is complete,like it had grown on a bigger amazonite crystal,that makes me think of what you described of your specimen. Great things can be found in small packages! Personally, I like the sound of "schorl" - still I will concede that "tourmaline" rolls off the tongue better. Back to Patrice's comments: thanks for the input. Upon revisiting the start of my thread I noticed that I never posted any photos of the back of the curved fluorite specimen, so here are a couple showing the size and shape of the depression (second photo is blurry but gives a good idea). 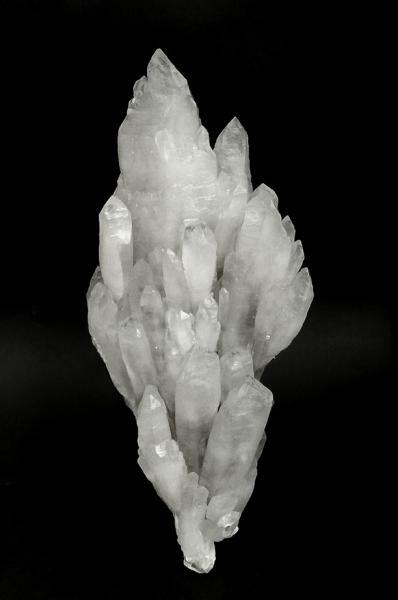 It's quite possible that a large crystal (amazonite or even quartz) would have shaped the specimen. I also note that, under window lighting, the fluorites look more blue-purple than green-purple (regrettably I have no locality information beyond what I had posted: Crystal Peak, Teller County, Colorado). Back of the fluorite specimen showing the depression (and all the labels that were put there). The "spiky" shapes are colorless, could be small quartz crystals maybe? Location: Sparks, Nevada & on the road! Tracy, your skeletal Chinese calcite haunts me! It is so wonderfully bizarre, I have flashbacks to it when I least expect it. So evidently it is now a permanent resident of the collection in my head. Thank you for adding to my mind's collection! I finally have time to do this posting, I've wanted to for quite some time! Russ Rizzo (Cal Neva Minerals), who helped me start my thread by photographing my "mystery" fluorapophyllite for me, did me another favor and shared his photos of some fascinating and fun specimens that I've acquired from him. I tried to photograph them on my own, but the images were terrible - so thanks Russ for helping me out! Veins of pyrite in nodule of apatite var. phosphorite, from Clay Pits, Friedland, Neubrandenburg, Germany. 8.7 x 7.7 x 3.5 cm. 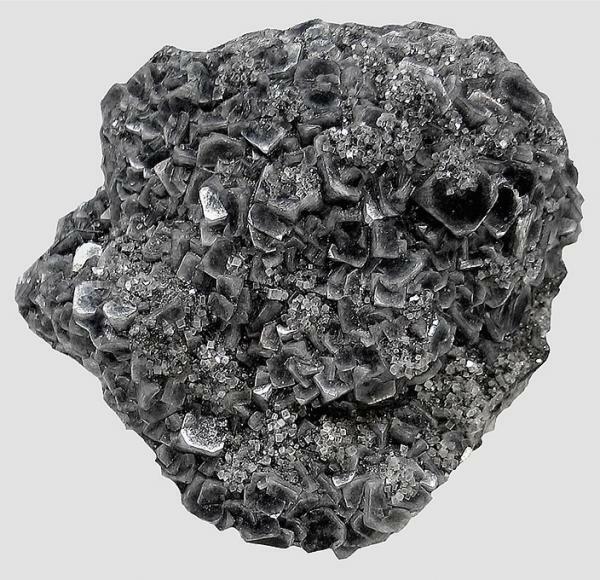 The pyrite is iridescent and forms wonderful patterns in the nodule. SEDEX (SEDimentary EXhalative) pyrite nodule from Picadilly Beach, Newfoundland, Canada. 5 x 4 x 3 cm. 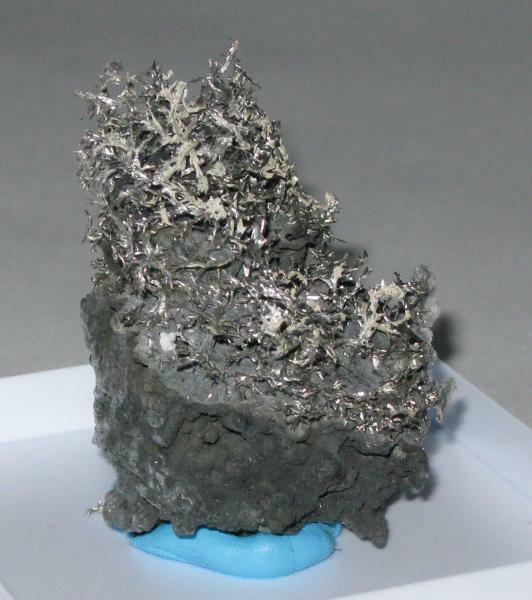 A treasure formed from the hydrothermal vents on the ocean floor. 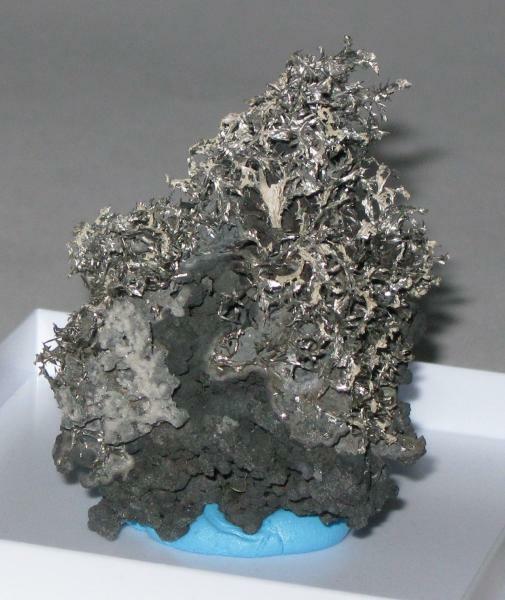 The pyrite is crystallized at one end and dome-shaped at the other. 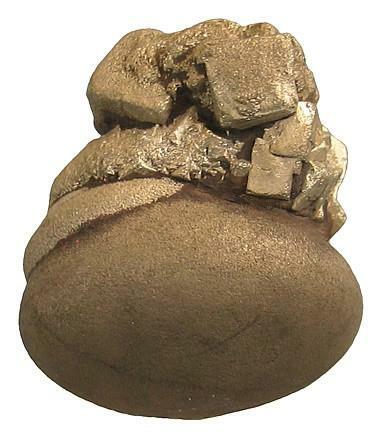 SEDEX pyrite nodule , rear view. Black and grey apophyllite (2 generations) from Murdockville, Quebec, Canada. 13 x 12 x 6 cm. Has a very satiny luster and "soft texture" not evident from the photo. Individual crystals to about 1.5 cm and are on a translcent, pale yellow calcite matrix. 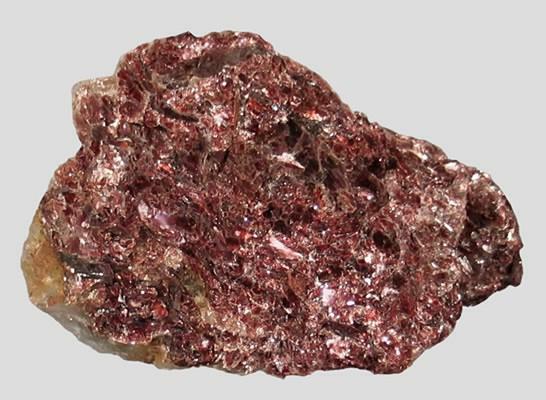 Red (rose) muscovite from North Bay, Nipissing District, Ontario, Canada. 8 x 5.5 x 3 cm. Wonderful color! 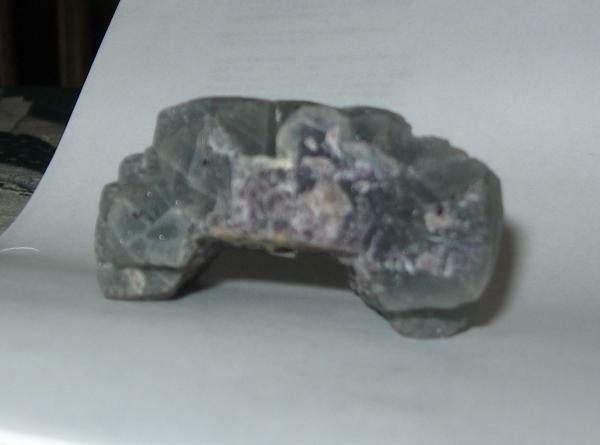 Photo #1: Amethyst "arch" from Artigas, Uruguay; 8.3 x 7.5 x 6.5 cm. I like the formation. 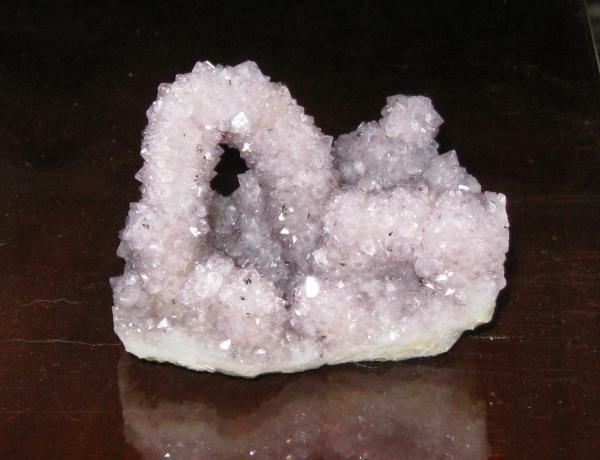 Photo #4: I have a lot of trouble taking good photos of quartz. This is a curved (bent?) 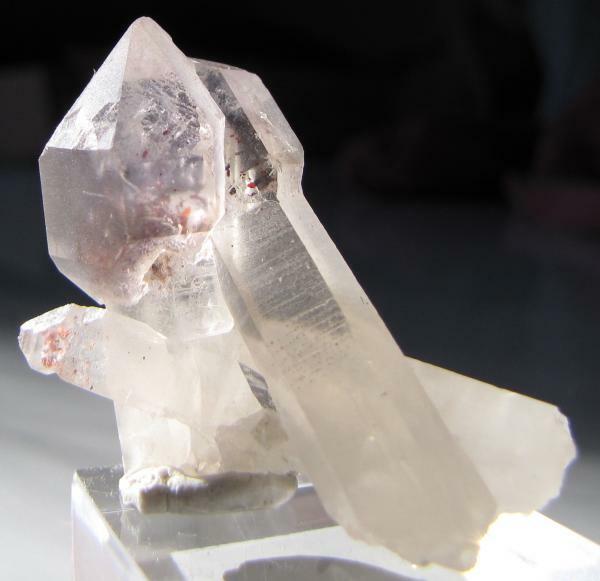 faden quartz with little bits of smectite and monmorillonite from Tui, Wana, Waziristan, F.A.T.A., Pakistan. 8 x 6.5 x 2.5 cm. The faden must have gone through a rough growth period - it reminds me a bit of the "tectonically violated" quartz which was in the Quartz Oddities display. Sadly it's hard to see all the detail in this photo. photos #5, #6 and #7: the prize, a fantastic pair of golden calcite crystals(acquired from Jordi) from Chanhua, Zhejiang, China (2003). 17 x 5 x 1.5 cm. The main crystal, which is almost 15 cm long, loooks like a faden but actually has a hollow tube running through it (I think the smaller crystal has a tube running through it too). 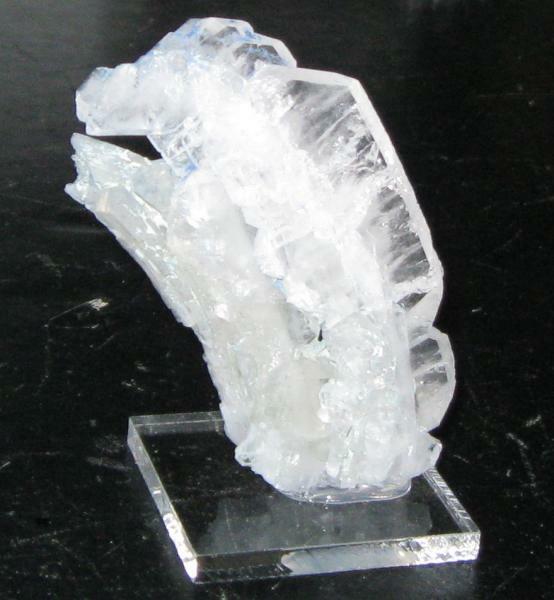 Sue photographed it at different angles to highlight the growth striations which can be seen running the length of the crystal and showing how it formed. 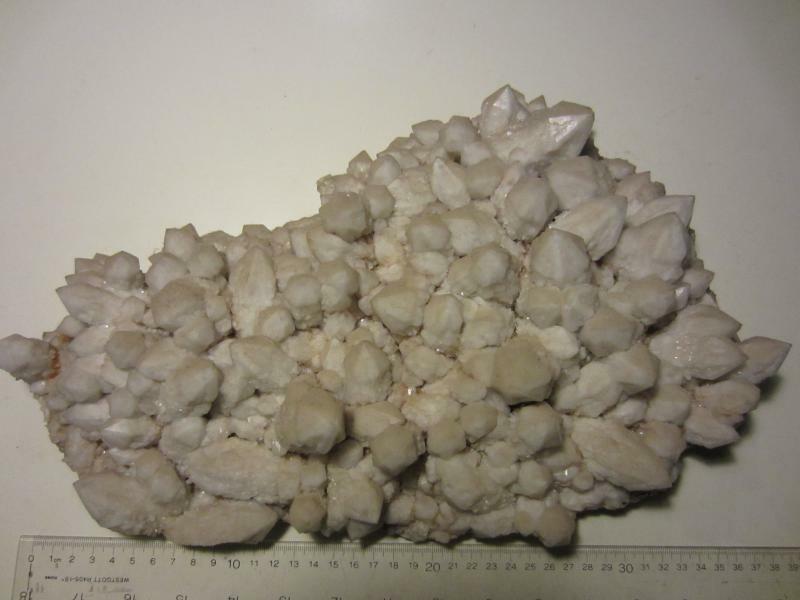 At the base, where the crystals join, there are hexagonal, plate-like whitish-gray calcite crystals (a different habit). Visually stunning and fascinating, I've already gotten lots of compliments on it! 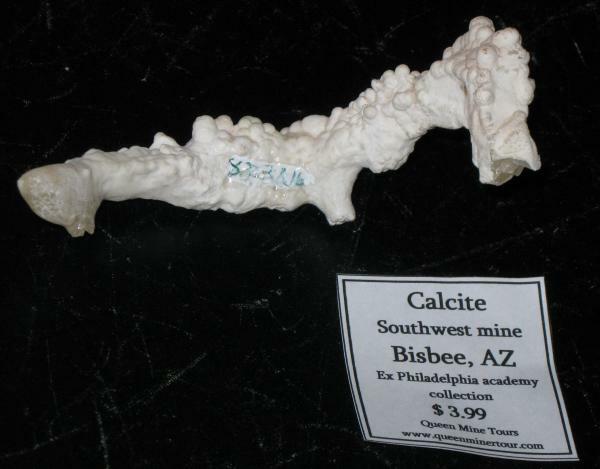 Tracy, you are well on your way to filling a case of stunning Oddities should Tucson ever decide to revisit that topic. Or maybe a local show will? I'm testing out my new camera, it has a macro lens! I used to own an SLR but have lost the skills needed to operate it, so I have to start all over...I love how close I can get to the specimens now. We are renovating the bathroom but I took time to get a little practice with my camera. Here are a couple of photos of a cute little scepter cluster which I recently got from eBay. The scepter on the right is only formed on one side due to contact with the larger scepter next to it. Sorry for the terrrible background, I don't have Photoshop...and I know my lighting etc still needs work (I did my test with natural sunlight - I was trying to see how much detail I could capture). Will continue to post others as time permits. I've gotten some neat pieces lately. Great photo Tracy :0) I've been looking at getting a camera myself what make is your new one? I believe production of the SX10 has ceased, but both the SX10 and SX20 appear to be rather popular. Hope this helps. - I forgot to mention: on th specimen, the main scepter head appears to be damaged where it connects to the "stem," but I think it's just overgrowth. Your last photo taken with the new camera is better than the average you've posted so far. But you should still practice a lot more, since mastering a camera is not done in one day. Try also with light sources other than natural light. Take more than ten shots of each specimen, in different positions, from different angles, then choose the best ones and retouch them a bit with PaintShop Pro (cheaper) or PhotoShop (much more expensive). They have several fancy and very simple functions, as "One Step Photo Fix", that will make your life easier. Thanks for the words of encouragement. No question I need more practice! The biggest difficulty is finding space in my cluttered house to set up a staging area. So I make do with what I have. The next string of photos will be tests of lighting, background, angle, and the camera too ...please continue to send more input. I will look into PaintShop or PhotoShop too. One day I hope to be able to take pictures as excellent as yours. As a lover of grey minerals in general, and wierd ones in particular, I have to congratulate you on the grey/black apophyllite! I never saw one of those before. Any idea on the cause of the dark color?